In recent years, many homeowners couldn't sell their homes because they couldn't get the price they needed. Many were fortunate enough to stay in their homes, but others moved because of job transfers or other life changes. 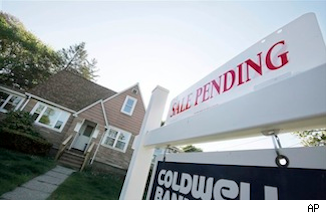 Many ended up renting out their homes rather than taking a big hit when selling them. These "accidental landlords" were never in the game to be investors but were forced into it because of the market. And now, with the market bouncing back at last, the executive who moved to Miami is likely looking forward to selling her house in Seattle and ending her days as an accidental landlord. But being a remote seller brings a whole set of concerns, questions and uncertainties. Here are five things you should do to sell your house remotely. 1. Speak to your tax professional. Depending on your situation, there could be negative or positive tax implications based on the date you sell, when you purchased and when you last lived in your home. Talking to your CPA well before you plan a sale can save you lots of time and money. For example, it might be that selling your home will result in a loss, which could help your taxes, but you want that loss to happen in the next tax year. On the other hand, if you're looking at a gain but you lived in the house in recent years, you might save on taxes by selling your home within a certain time frame. 2. Leverage your agent. The best real estate agents maintain contact with their previous clients on a regular basis. A good agent may even help you obtain new tenants, come to the aid of your current tenant or be your remote "feet on the street" when you're trying to sell a home from many miles away. By maintaining ties to your agent, it will be easier to turn to them when you're ready to finally offload the property and get the ball rolling. Don't have a previous relationship with a good local real estate agent? Ask your neighbors, use social media or go online to find some potential agents to interview. 3. Plan a long weekend trip to your previous home. If you know you want to sell, plan a trip to see your property months in advance if possible. This is your chance to do your homework and plan the next few steps. Meet face-to-face with the tenant and notify them of your desire to sell. Assess whether the home needs work before selling and, if so, meet with the necessary painters, carpenters or stagers. Identify exactly what needs work and get bids. Also use this time to interview agents if you don't have one already. If you already have an agent, use this time to meet with them, preferably at your property. Introduce your agent to your tenant, too, if possible. 4. Go see the comps. While you're back in town, get a feel for the most recent comps, either with your agent or by going to open houses. Try to understand your property's baseline home value, based on what you see. From there, ask your agent to regularly send you updates about the local market. 5. Treat your tenant well. For many tenants, a potential sale is a disruption in their lives. As stressful as it is on you to be selling the home, the tenant has to find a new home, potentially pay more in rent and physically move. Treat your tenant well from the very first time you discuss the selling option. Giving them enough advanced notice will benefit both your tenant and your sale. If the property shows well, incentivize your tenant (provided they're a "good" tenant) to stay in the property during the marketing period by offering to reduce their rent. A "staged" or lived-in home sells faster than a vacant one. Once you have an offer from a buyer, coordinate with the tenant on the timing of a closing. By reducing their rent, you can also ask them to cooperate with showings, open houses or inspections. If they aren't the best tenant or the home doesn't show so well with their stuff there, plan on giving them enough advanced notice to move out so you can do any necessary work. Be sure their lease has officially ended, that they receive their security deposit back and that there aren't any loose ends. Best strategy: plan ahead. Selling a home is never a decision that happens overnight. Planning the sale months in advance is your key to a successful exit strategy, especially when trying to sell a property from many miles away.